We all like to make our own decisions, especially when it comes to our healthcare. However, should there ever come a time when we cannot speak for ourselves, we would like to some method of informing others of our wishes. North Carolina provides its residents with an outstanding method of speaking for ourselves when it comes to our healthcare and what should be done regarding our future. Making decisions about medical care for loved ones can be very stressful, especially when many family members are involved. An advance healthcare directive can help to avoid squabbles among family members entirely. A Do Not Resuscitate order is a document that directs your medical care provider to refrain from attempting cardiopulmonary resuscitation (CPR) on you in the event that your heart stops. CPR includes electric shocks to restart the heart, mouth to mouth breathing or pressing on the chest as well as medicines that may restart the heart. This order is especially relevant for people who are near the end of their lives and wish to include this as part of their hospice care plan. A MOST Order is a medical order that provides direction for medical care when a patient cannot speak for himself or herself. These are mainly used by those with advanced chronic illnesses or by those with a life expectancy of one year or less. This form is basically a more advanced form of a DNR Order that covers a broader scope of treatment options. 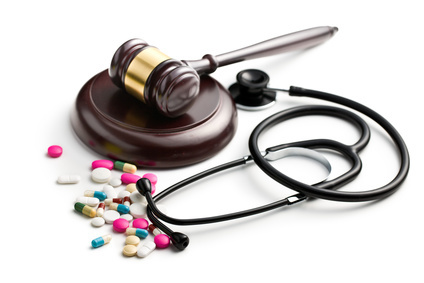 A Health Care Power of Attorney form is a document that allows someone that you designate the power to make medical decisions on your behalf should you become incapable of making your own decisions. This form is useful for almost everyone—because in the event of a medical emergency, it prevents confusion and gives you the authority to decide who is best suited to represent you in the event that you cannot speak for yourself.